Kids will have a literal 'blast' with this Water Tag Set. Designed for children of all ages, the game turns ordinary water battles into friendly competitions. This set includes 2 vests and 2 TL-600 Stream Machines that offer hours of fun for competitive players and novices alike. Vests are one size fits all and non-adjusting. 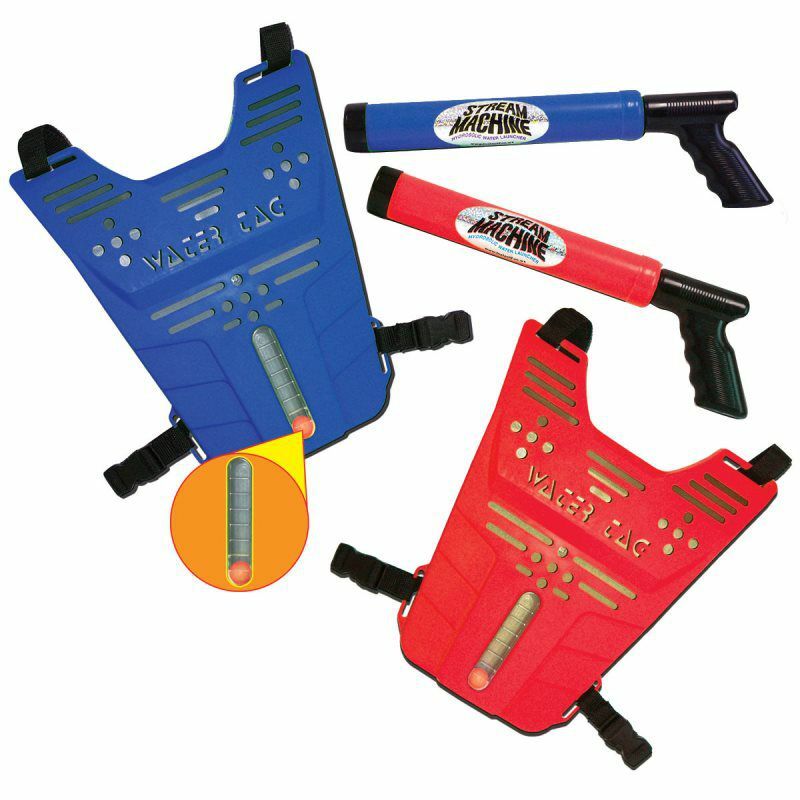 Simply strap the Water Tag Vest and prepare to blast away your opponents with a jet stream of water. Vests also feature a water meter gauge that will let the opponent know when the vest is full. This pack comes with 2 vests and is the perfect addition for camping trips, picnics or backyard skirmishes. 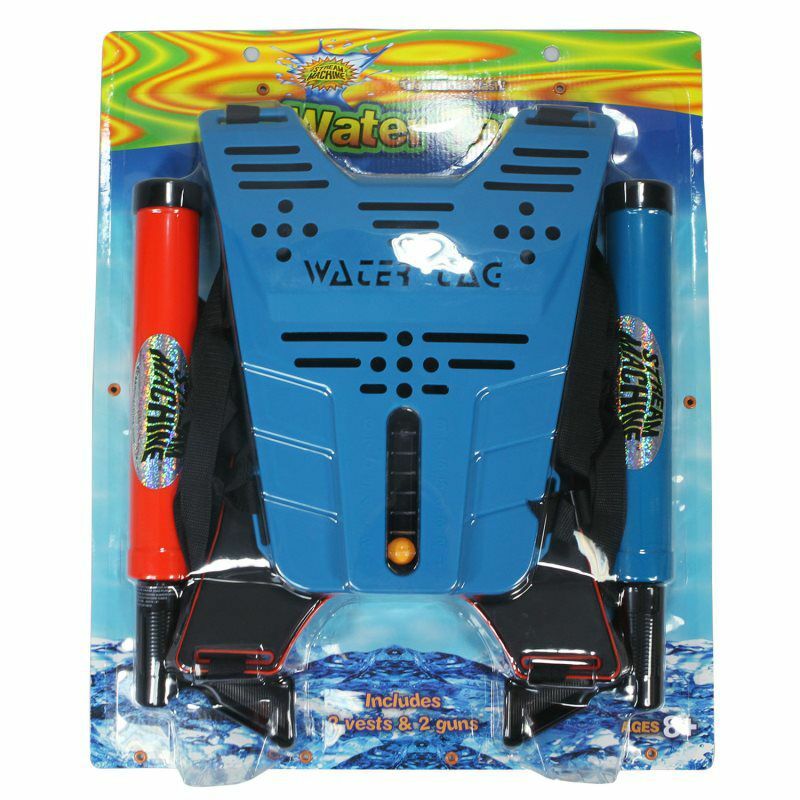 Hours of fun for the competitive water sport individual. Vests are one size fits all. The object of the water tag game is to fill your opponent's water vest with water. Perfect for camping trips, picnics or backyard fun.